Since HostPapa is one of the web host we recommend the most on this site, we get a lot of questions about them. On this page we list the most frequent questions about HostPapa, to make sure you don’t face any HostPapa issues or HostPapa problems when you decide to host your website with them. Is HostPapa compatible with WordPress? Due in no small part to its status as the most popular content management system in the world, HostPapa’s hosting packages universally support WordPress in a number of ways. In fact, they use the popular Softaculous software to allow an automatic installation of WordPress on a domain name with just a few clicks. Softaculous guides you step-by-step to create an administrative account and password, determine the directory for installation, and automatically move all of the files into place. HostPapa’s commitment to WordPress is further backed up by the MySQL and PHP versions it offers. Both technologies are kept up-to-date, allowing WordPress to function optimally. With automatic installations and strong backend support, WordPress is a popular option among a large number of HostPapa’s customers. For more information, read our guide about How to install WordPress on HostPapa with Softaculous. It’s easy to assume that the low prices and great services provided by HostPapa are too good to be true, but, bases on our experience, that just isn’t the case. Over the years, HostPapa’s services have been lauded by major industry publications like PCWorld. They’ve earned a top rating from the Better Business Bureau, as well, with the organization recognizing HostPapa’s commitment to prompt customer service, industry-leading uptime, and rapid expansion in the web hosting industry. HostPapa’s website’s financial transactions are highly secure as attested by their accreditation by major services like Authorize.net, SiteLock, SpotMyID and several others. They’ve worked to ensure that their customers are happy, secure, and treated to the best services online. The commitment to uptime at HostPapa is admirable. Their customers benefit from a 99.9 percent uptime guarantee, and this policy governs both their hardware and their broadband connection. Shared hosting and their other products are all supported by this guarantee of reliable service. Moreover, HostPapa is also committed to a policy of high redundancy in its datacenter operations, making sure that servers can remain online even in the event of a natural disaster or other forms of downtime. Each of their datacenter facilities uses redundant electrical and broadband connections to safeguard against a power outage, Internet Service Provider issues, or other infrastructure shortfalls. HostPapa’s customers can therefore count on them to provide an industry-leading commitment to reliability and server uptime. HostPapa was founded in Oakville, Ontario, Canada, but the company rapidly expanded and now operates two headquarters; one in Ontario, Canada, and one in Niagara Falls, New York, USA. This is also where their datacenters are located, allowing customers on both sides of the United States – Canadian border to have access to low ping times, local servers, and the best customer service possible. HostPapa’s customer support operations are as local as their datacenter operations. One of the most popular and effective ways to reach consumers is via email marketing. This is something that HostPapa has long recognized, and that’s why they’ve launched their HostPapa Connect email marketing service for customers several years ago. The service is designed to integrate social media and email marketing, giving HostPapa users a way to reach their target audience in new and exciting ways. Best of all, HostPapa Connect allows their customers to enjoy the same high commitment to reliability, customer service, and innovation, that they’ve come to expect from their traditional hosting services. By centralizing both web hosting and marketing services, HostPapa is a very convenient web hosting services for versatile online business owners and entrepreneurs. We sure think so. Because of their budget-friendly hosting plans, it is normal to think that HostPapa’s services are simply too good to be true. Yet, HostPapa is a legitimate web hosting company with more than a half-decade in the industry. The best way to answer this question, however, is to try them. 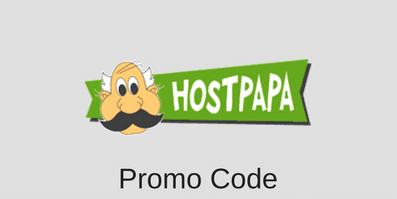 With a 30-day money back guarantee, it’s easy to try HostPapa with no risk. We’ve also written a good HostPapa Review that can help you decide it they are right for you. For more information about HostPapa, visit www.hostpapa.ca. This entry was posted in Guides on April 22, 2013 by Jared C. Brown.